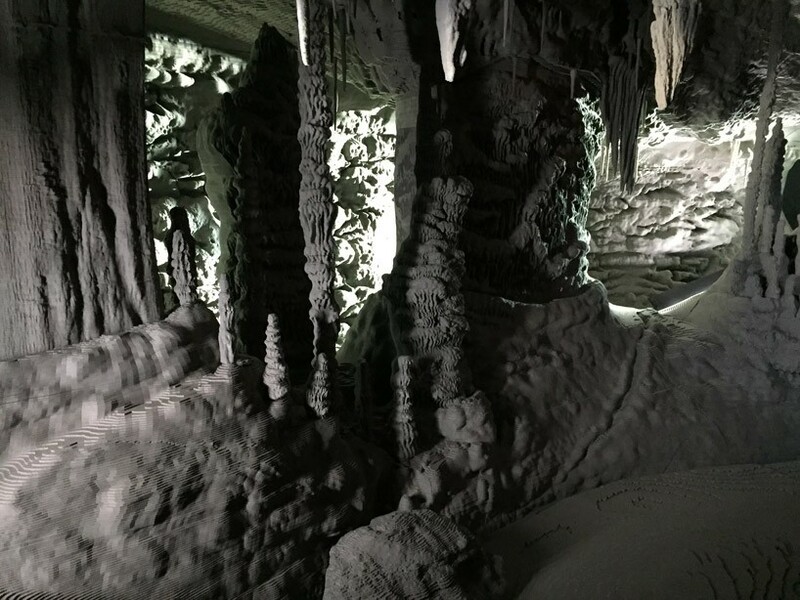 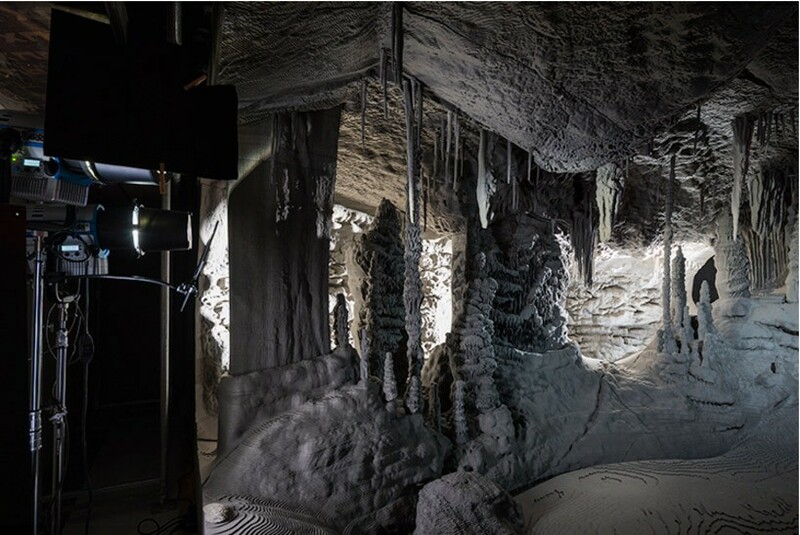 using 30 tons of grey cardboard, shaped by a computer and laid out to form a stratification with 900,000 sections, german artist thomas demand reproduced the rock chamber, stalactites and stalagmites of a grotto on the island of mallorca. 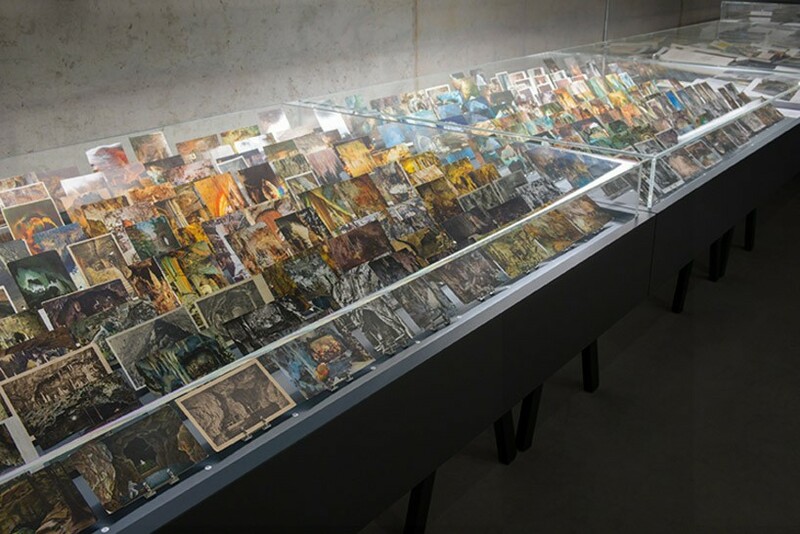 demand creates huge complex environments in cardboard, photographs them and then he destroys the models, as the digital image is THE art work. 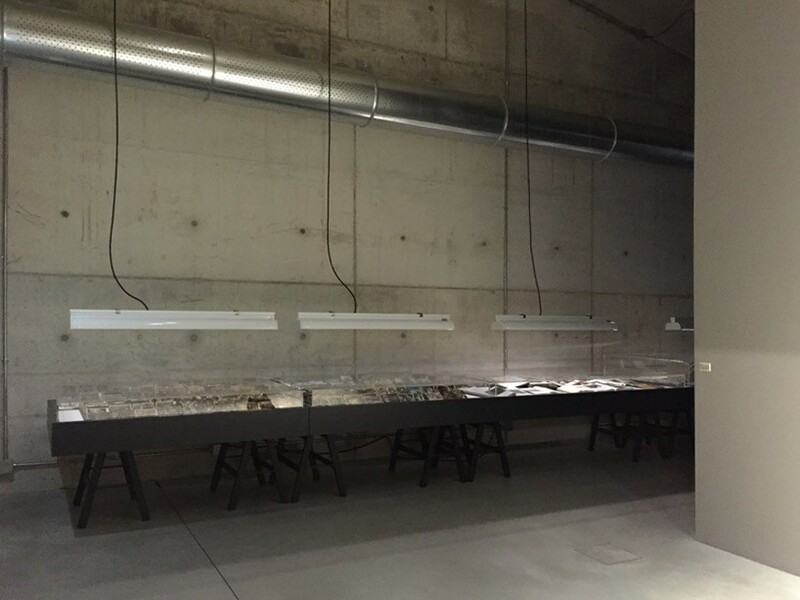 first shown by prada in venice in 2007, the italian fashion house persuaded him to make an exception and allow them to keep the grey cardboard sections. 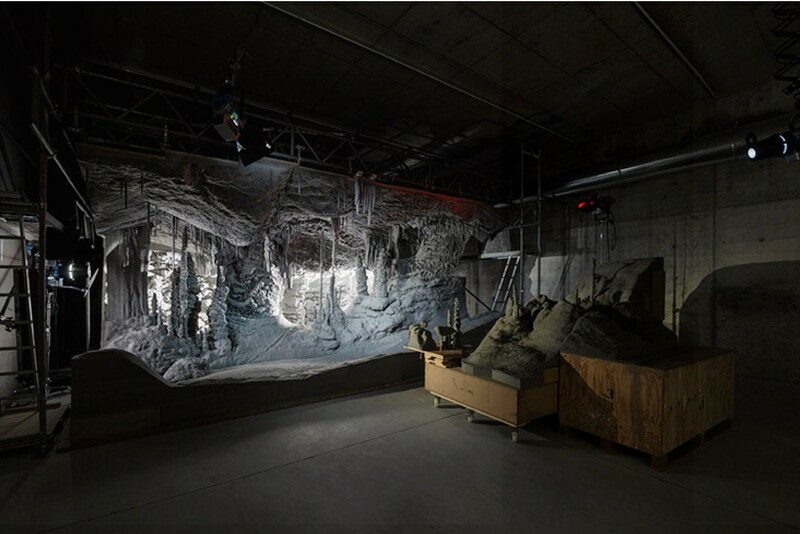 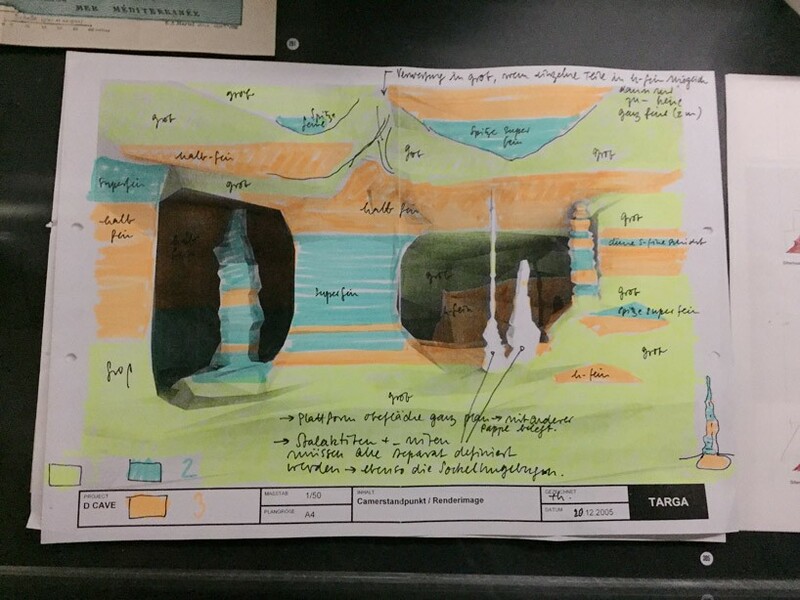 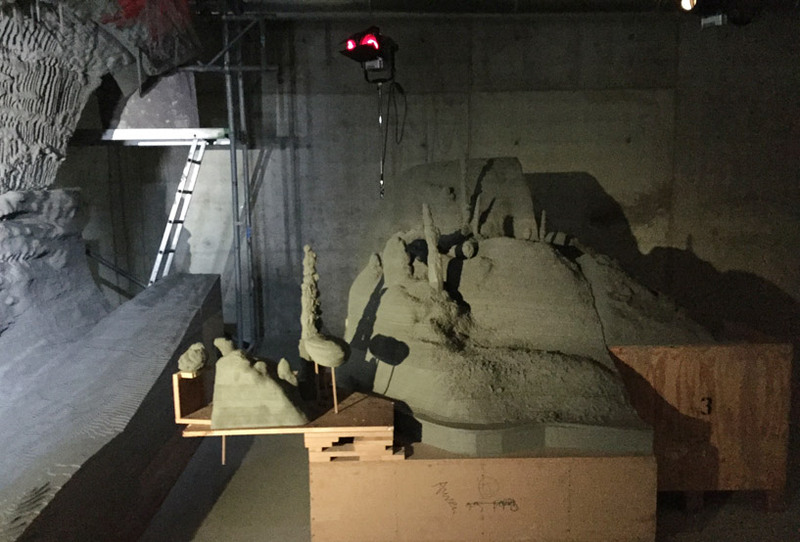 in fondazione prada‘s new arts complex designed by rem koolhaas / OMA, this grotto motif returns as ‘processo grottesco’ (grotesque process), for which demand also sets documentary materials including postcards, books, tour guides, catalogue illustrations, various advertisements and the massive reconstruction of the spanish grotto, alongside the artwork, the photograph ‘grotto’. 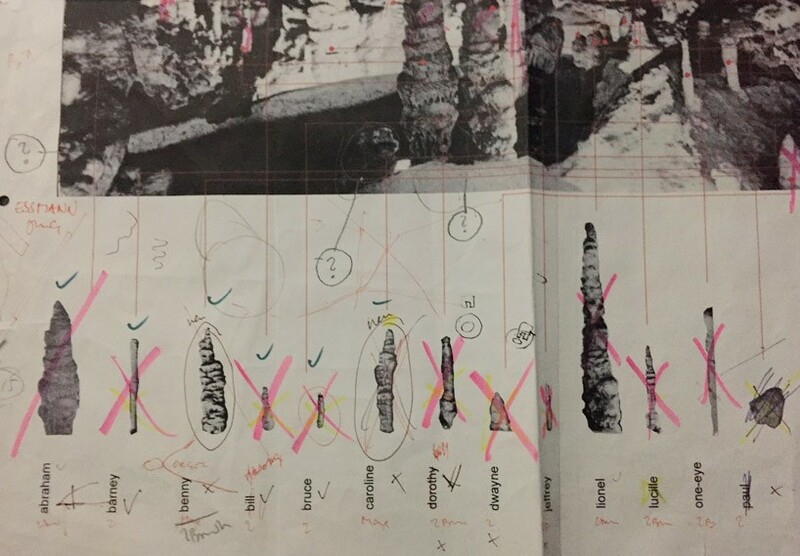 in this manner, the artist allows visitors to explore the creative process that led to the realization of the photograph, opening a window onto the way the artwork has been transformed over the course of time through continuous investigation. 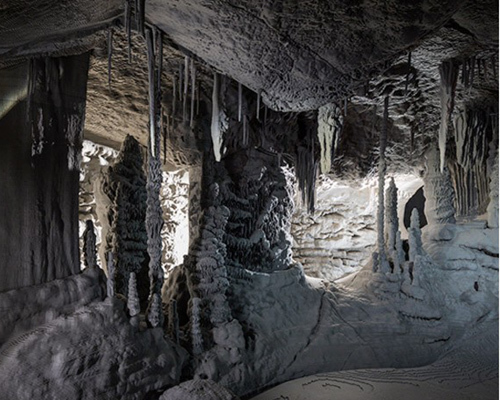 the grotto theme is a recurring subject in the history of art and architecture, and implies a provocative, bizarre approach, typical of painting techniques of the 1500s known as ‘grottesca’ (grotesque). 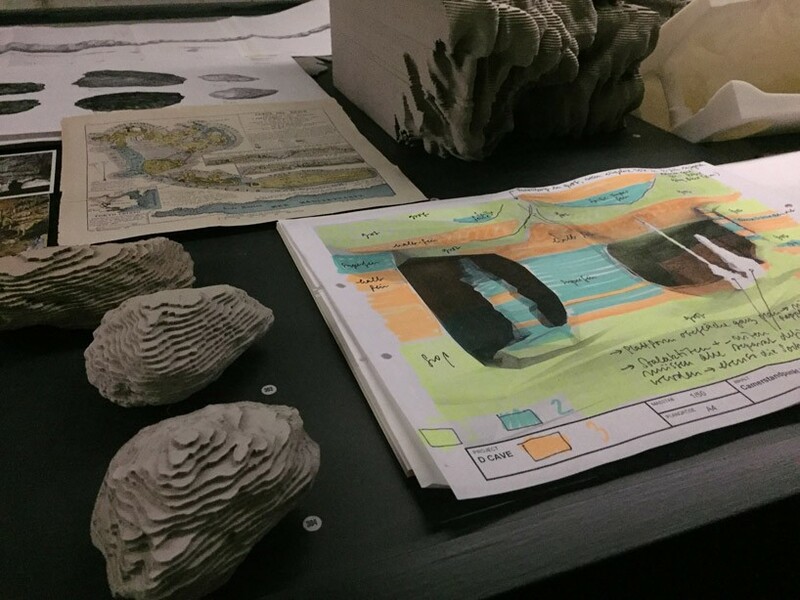 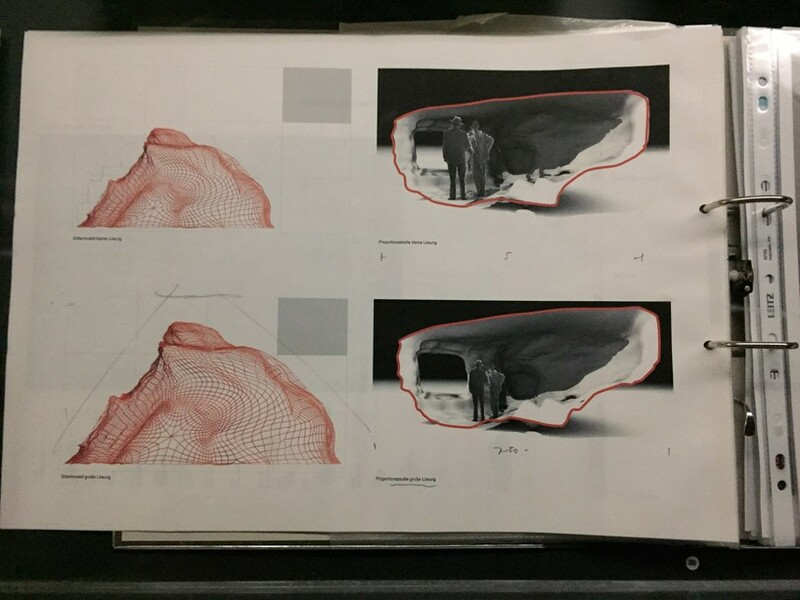 one of the characteristic elements of ‘processo grottesco’ is the use of virtual computer technology, which demand employed for the first time ever to cut, following a 3D model, the various layers of cardboard used to create the three dimensional reconstruction. 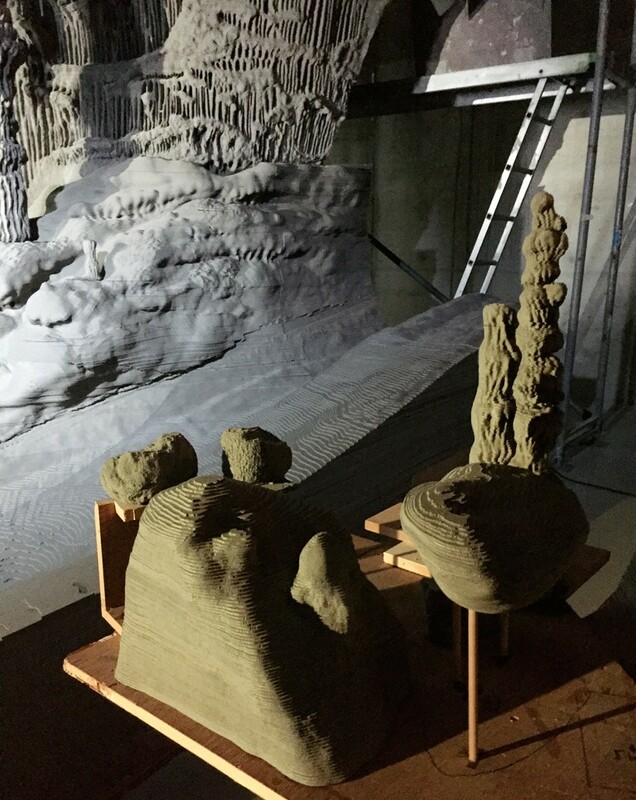 in this permanent installation, the use of a highly technological instrument makes it possible to imitate nature, thanks to its accelerated deciphering and natural stratifications that have developed incredibly slowly over a long period of time. 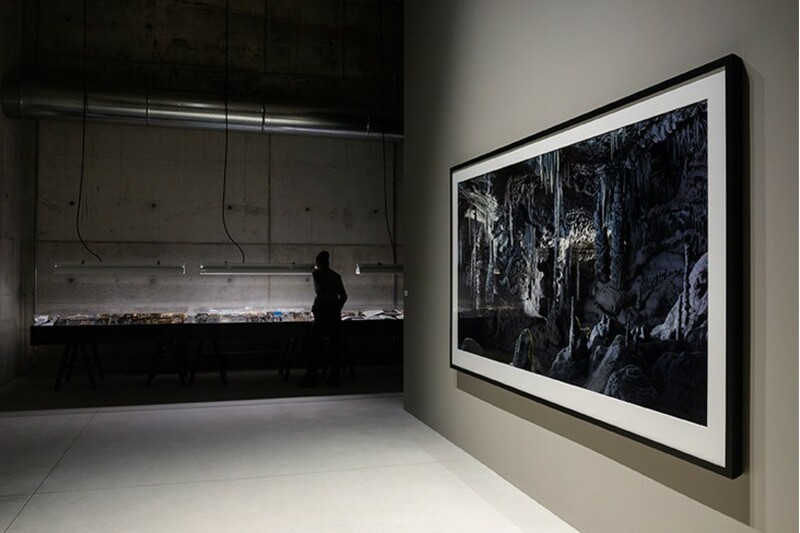 the ‘grotesque process’ is animated by a contrast that informs demand’s representation of reality, as the artist is in turn inspired by a real place that is ultimately revealed as an ‘unreal’, perhaps even surreal, space thanks to its subterranean, mysterious and disturbing connotations; exalted in this definitive work on the underground level of fondazione prada’s cinema.